Winter Park narcotics rehab can help you or someone you love kick a drug habit for good. Narcotic addiction can quickly derail your life or the life of someone you love. Unfortunately, good intentions and willpower are rarely enough to end a drug addiction for the long-term. Professional help is almost always necessary. That’s because drug addiction almost always has underlying causes that must be resolved for successful recovery. Additionally, the addiction itself causes problems in your life that need to be addressed in order to offer the best possible outcome of treatment. Winter Park narcotics rehab is designed to help you end your addiction and improve your life on all fronts. Click here to learn more about our Winter Park outpatient rehab facility. WhiteSands Treatment offers the highest quality outpatient drug treatment Winter Park has to offer. WhiteSands takes a holistic approach to treatment that addresses a wide range of issues of body, mind, and spirit. This approach provides whole-person healing, and this, according to the Substance Abuse and Mental Health Services Administration, is the best way to treat addiction. Outpatient rehab involves living at home while undergoing treatment. Each day, you travel to the outpatient treatment center for rehab. Outpatient treatment has a number of benefits over inpatient treatment. These include a lower price tag than inpatient treatment and the ability to put skills and strategies to use right away in the “real” world. WhiteSands Treatment’s outpatient drug rehab centers offer a variety of both traditional and complementary therapies that engage you in treatment and help you work through a variety of problems and issues. 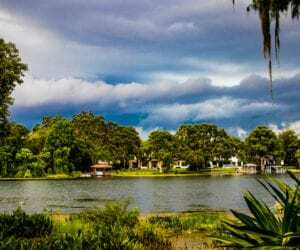 Traditional therapies used in Winter Park narcotics rehab include cognitive-behavioral therapy, family therapy, and psychoeducational classes, which offer practical education about addiction and recovery. Traditional therapies have been shown through research to be effective for treating addiction. Complementary therapies help people look at old problems in new ways, and they increase engagement in treatment. Complementary therapies include art or music therapy, equine therapy, restorative yoga, and mindfulness meditation. These therapies effectively treat addiction when they’re used along with traditional therapies. Identify and change unhealthy patterns of thought and behavior. Develop skills for coping with relapse triggers like stress, cravings, and negative emotions. Address the underlying issues behind the addiction, which often include chronic stress, trauma, or mental illness. Find purpose and meaning in life after addiction. Learn to relax and have fun without needing drugs to do it. Repair damage to relationships and other areas of life. A safe and stable home life. A high level of intrinsic motivation to recover. The first step in any treatment program is detox, where all traces of drugs and alcohol are allowed to leave the body so that brain function can begin to return to normal. During detox, a variety of assessments help treatment providers determine the best pathway to recovery for you. At this time, providers will determine whether you’re a good candidate for outpatient treatment. If so, Winter Park narcotics rehab can help you recover while you live at home and continue working, attending school, or caring for the family. If outpatient treatment isn’t an option for you, WhiteSands Treatment offers inpatient programs in Tampa and Fort Myers. In general, inpatient treatment offers better outcomes, because you’re able to focus solely on recovery. Whether you need inpatient or outpatient treatment, WhiteSands Treatment can help you recover from an addiction while improving your life on all fronts and restoring your quality of life and sense of wellbeing for the long-haul.